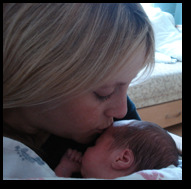 We are a nonprofit home for pregnant women in difficult circumstances. Our goal is to provide education, counseling, referrals, and physical, emotional and spiritual support in a caring community. Mother Seton House, Inc. welcomes all women regardless of their race, color, religion or national origin. We welcome your support in helping to provide needed services and housing for pregnant women in need. Volunteers and Professionals have joined together to offer a number of educational and nutritional programs for young mothers and mothers to be. Lifelines is the Mother Seton House newsletter that is published twice a year. Click below to view an Online download version. Click below to view a list of non-profit and State and local agencies that may be answer some of your questions or provide assistance to you and your child. MWV Photo Calendar Contest has ended. Now you can purchase the photo calendar and support Mother Seton House. Click below to go to order.